Urban regeneration forms a key approach for coping with persistent sustainability problems in cities. In practice, however, it is often driven by motives other than sustainability transformation. This paper explores the preconditions that allow urban regeneration approaches to become transformative, and suggests a methodology to support this shift in practice. It does so by assessing the capacity available to prepare for, initiate, and steer a path-deviant sustainability transformation of urban areas in three South Korean cities, jointly with stakeholders. The findings reflect how local policy largely supports a conservative development pathway, favored by national government, sidelining especially ecological implications. Major deficits exist regarding systems thinking, sustainability foresight, and social learning processes, while collective visioning, intermediation, community empowerment, and repositioning science could become instant drivers. 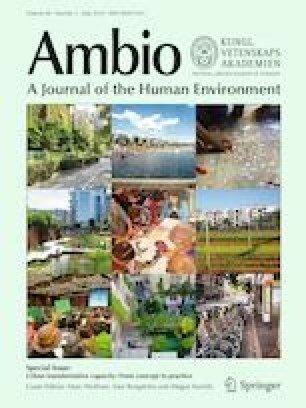 In conclusion, assessing transformative capacity offers a crucial lever to design urban-regeneration approaches for unlearning dominant development paradigms and to experimentally reconfigure urban social–ecological–technological systems. The online version of this article ( https://doi.org/10.1007/s13280-018-1111-2) contains supplementary material, which is available to authorized users. The author thanks all interviewees for their kind cooperation and efforts, and especially Kyuyoung Han, Kyung A Kim, Eunseon Park, Junhan Kim, and Ying Li for their invaluable support through data collection, translation, and analysis. This research has been funded by the National Research Foundation of Korea (NRF), Contract No. 2014S1A5A8018045.